Grilling on a plank seems counterintuitive. Wood is what you set on fire to cook, not a platter to cook the food on. However, it is a technique that is hundreds of years old. 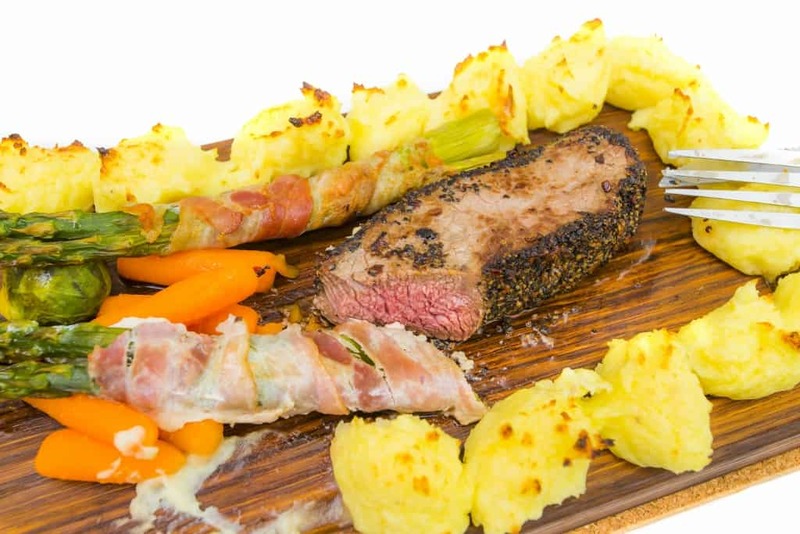 Native Americans in the north west are most often credited with developing it, but grilling on wood planks has been developed in many cultures all over the world. As gourmet cooking has started to become more popular, and move into the home, more people are trying this interesting cooking technique. While it traditionally is used to cook salmon and other fish, it can be used for veggies, beef, or other meats. The process is fairly straightforward. The plank is soaked for a while, anywhere from one to twelve hours, and then the food is placed on the plank. The whole thing is then put on the grill, or in the oven, and cooked. The meat can be seasoned however you like, and the plank can be soaked in water, juice, wine, or liquor to produce different flavors. This results in a smoky flavor that can’t quite be replicated any other way. Resins and flavors in the wood are transferred to the meat. Grilling on a plank also prevents the meat from drying out, so that it is always delicious. It also means that the food is cooked evenly without having to flip it, which can be difficult, particularly with fish. There are a few things that are important to know before you get started. One of the most important is where to source your wood. Just going down to the lumber yard or hardware store is not a good idea. Most of the wood there is treated with chemicals for construction use. Those chemicals will be released when the plank is cooked, and will leach into the food. Most of those chemicals are extremely unhealthy. It can be a good idea to look online for organic or natural planks. This is one of the cases when organic is not just a fad. Even untreated wood can have pesticides and other chemicals on it that can be unhealthy, and that can end up in your food. Many planks are meant for one-time use. If you do decide to clean your plank for reuse, they should be cleaned thoroughly without soap. Using cleaners can impart an unpleasant flavor the next time you use the planks. Then cook the planks in your oven to dry them out and kill the bacteria before storing. If you don’t want to deal with cleaning it, you can break or cut the plank into pieces, soak them, and then toss them on the coals the next time you grill. This will have a similar effect as grilling directly on the plank. There are some different woods that can be used for plank grilling, each imparting a unique flavor to the food. Oak and maple are popular for heartier meats like beef. Hickory is frequently used with pork. The two classic woods that are used are cedar and alder. The classic pairing is of cedar planks with salmon. If you go looking for planks, the easiest to find will be cedar. Recipes for grilling salmon on cedar are easy to find and this combination is popular even on restaurant menus. The fine points are a little more complicated. 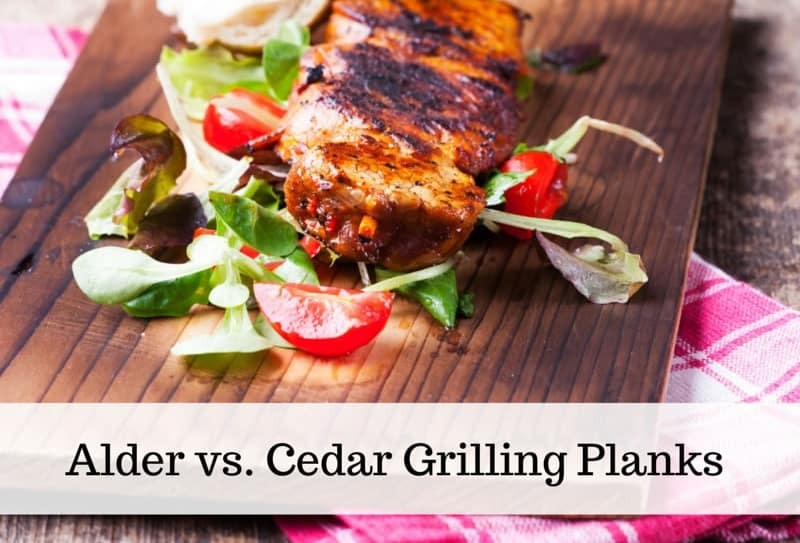 First of all, there is more than one type of cedar that is used for grilling planks. The most common is western red cedar, which along with the smoke, imparts a sweet, spicy flavor. Northern white cedar is also used for grilling planks and has a slightly different flavor. Eastern cedar should never be used, as it has toxic resins and it is not safe to cook on. Alder is less well known, but many people prefer it to cedar. It gives the food a stronger, smokier flavor that can have a hint of vanilla. Alder planks may be more difficult to find, but it may be worth the effort to give some variation to your plank grilling. Both types of woods are actually best for cooking veggies and seafood, particularly salmon. Grilling food on a wooden plank can give your food a unique flavor. It also is a theatrical and impressive way to present dinner. There are some disagreements on whether alder or cedar is the better wood. There is no reason to take someone else’s word for it. It is easy enough to get both and decide for yourself. While it might seem like a strange method for cooking, it is fairly easy and straightforward. A small investment in time can turn into a huge payoff in flavor.